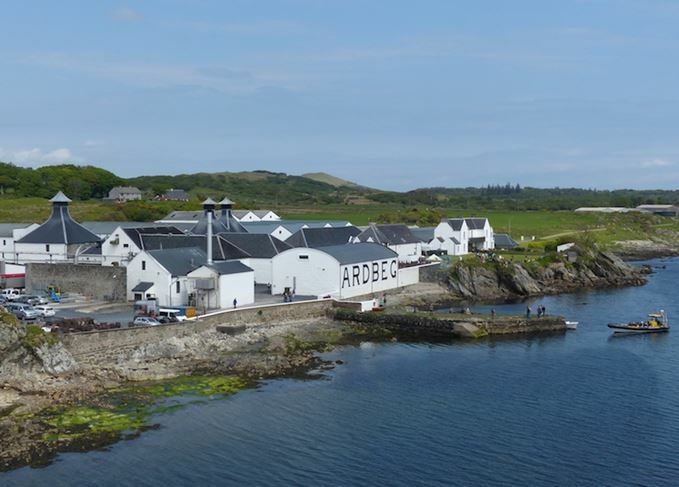 Islay single malt whisky distillery Ardbeg is set to add two more stills, doubling its distillation capacity and moving production into a new still house. The multi-million-pound project, funded by distillery owner The Glenmorangie Company, is due to start work this year, subject to planning permission, with completion scheduled for 2019. Plans include the construction of a new still house on a site once occupied by warehouses, with the current still house converted to house new washbacks. The expanded distillery’s four stills – its existing wash and spirit stills, plus a new pair of wash and spirit stills – will be housed in a ‘traditional-style’ building, Ardbeg said. Planning permission has already been granted to move Ardbeg’s boiler house a little further away from the distillery, and work on this has begun. Plans for the new still house have been submitted to Argyll & Bute Council, and the distillery is set to hold a meeting for local residents on Islay to discuss the project in the near future. Ardbeg is planning to ‘continue its normal operations’ while construction work takes place. ‘We are delighted by Ardbeg’s success since 1997 – and by the growing passion for our whisky from fans around the world,’ said Marc Hoellinger, president and CEO of The Glenmorangie Company, a subsidiary of Moët Hennessy, itself a division of luxury goods giant LVMH. Ardbeg’s current era of high demand and expansion is a world away from its near demise two decades ago, when it was acquired by Glenmorangie in a poor state of repair. The distillery spent most of the 1980s and 1990s either silent, working intermittently and conducting experiments or being used for spare parts by nearby Laphroaig, then under the same ownership. News of the planned expansion comes just weeks after Glenmorangie unveiled plans to build its own new still house to accommodate two new stills, in addition to the six currently used at the distillery in Tain. It also comes at a time of expanding whisky production on Islay: Kilchoman said it would double production capacity in November last year, and Laphroaig is also planning to add more stills. Meanwhile, the new Ardnahoe distillery is due to start production this spring, plans for a distillery at Gartbreck Farm have been resurrected and the long-silent Port Ellen distillery is to be revived by 2020. Peated whisky: the ultimate dram? A heated debate between Hamish Torrie and Stuart Hendry on the pros and cons of smoking in whisky. Greatness sometimes comes from a willingness to make mistakes, says Richard Woodard. Twenty years on, recalling the night when spirit once again ran from Ardbeg’s stills.